The Saviour of the World covers each incident and each saying in the Bible and converts them to either a single poem, blank verse or rhymed stanza, according to the subject. 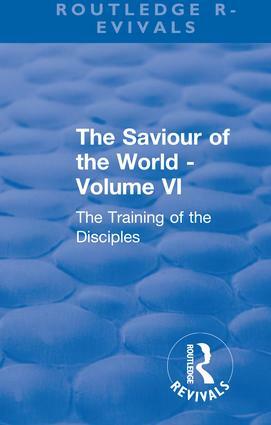 This volume, called The Training of the Disciples, was originally published in 1914. This book will be of interest to students of both religious studies and English literature.